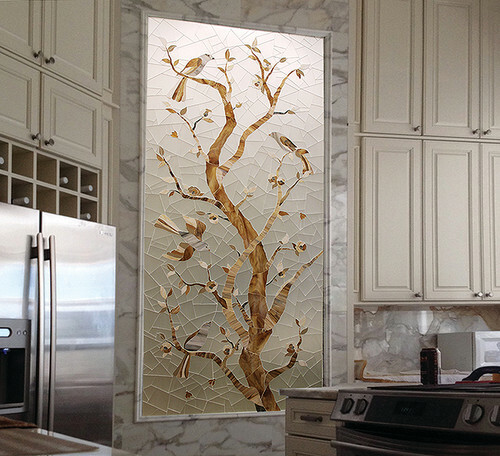 Tile and mosaic art is the pop that elevates a room design to the next level. 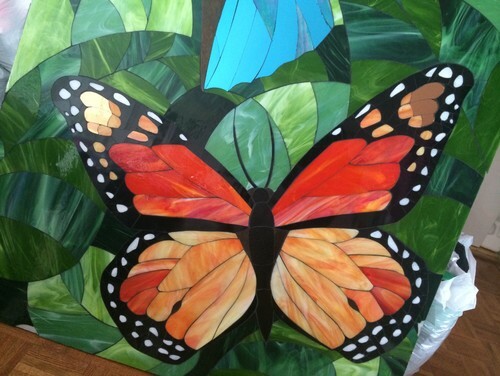 I had the pleasure of meeting one of the best tile artists at last year’s Coverings show in Orlando. Allison Eden’s personality represents her out of the box design style. Check out Allison on Houzz and Instagram. 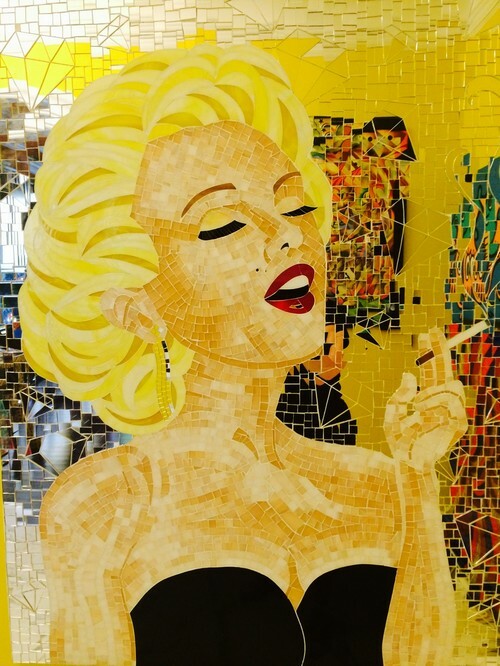 Allison Eden Studios, located in Bushwick, offers custom glass mosaics. All of her designs are made by hand in NYC. Anytime I come across an exceptional artisan I request an interview. I like to know what inspires them to create the artistry they create and I was not disappointed when I interviewed Allison on her passions, motivations and insights into the trends for 2016. Allison’s busy and colorful studio. 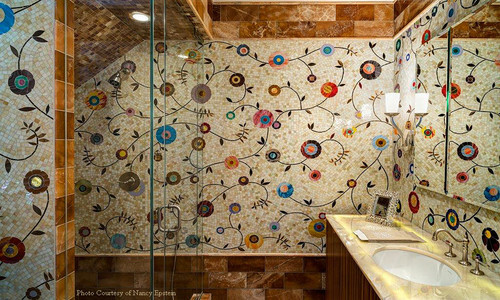 What made you want to work with tile? I went to art school for fashion design and pattern making, but I’ve also always loved interior design and I have always painted. Basically, I wanted to mesh color theory, art, pattern making and other design concepts I had been studying and roll them into one medium- Glass art. I fell in love with the colors in glass as a material, I thought it was architecturally beautiful and could enable me to take my love for art and patterns in fashion into interiors. I’ve been doing this for 25 years and absolutely love it. Not only do I work with tile I also have been making fabrics to match my patterns as well. What has been your favorite project thus far? It’s very hard to choose a favorite as each project is my baby. I put so much love into every project, and each one is so much fun to create. 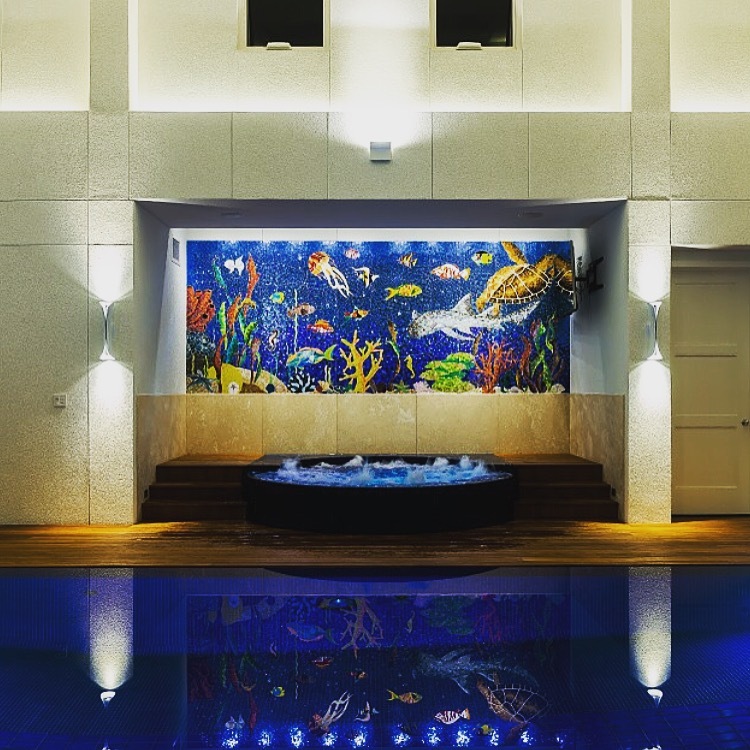 If I had to choose a project, I would choose a recent ocean mural that I created for a home as I love the sea. It was 40 ft long by 10 feet high and I could get so intricate with the fish and everything in the ocean. I created it in the dead of winter and i found it helped me get through the cold dreary days by working in a huge underwater mural where I created the characters and how my underwater world should be. What’s the wildest tile request you’ve received? The rainbow hearts shower. The client wanted rainbows and hearts which totally spoke to me; it was a perfect fit. I love bright colors and bold patterns mixed together. I love all styles but deep down I am very traditional with a wild flair. My favorites are french baroque and art nouveau so in most of my pieces there is a hint of each style mixed together to create a true Allison Eden creation. 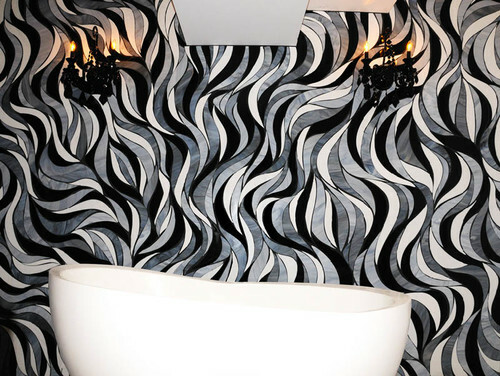 Favorite tile/coverings trend forecast for 2016 and a trend you’re tired of? We have seen so much white marble lately that it is only obvious that the following trend will be turning into color and lots of it. 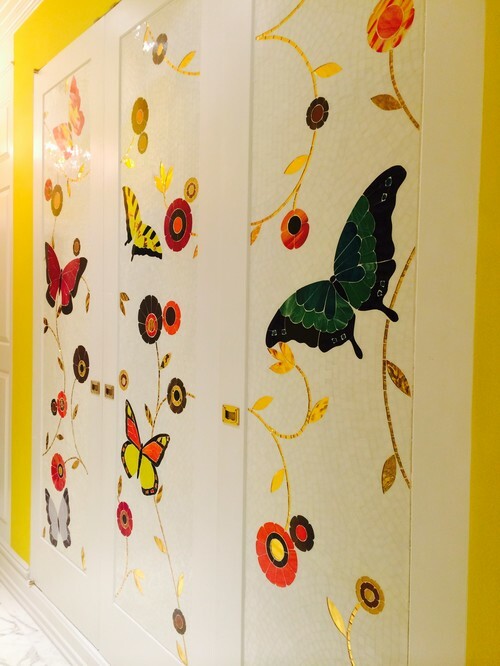 We need color in our lives more than ever and people are not just playing it safe anymore for resale values. People are staying in their homes longer, not flipping them like they use to. We are always busy making the wildest finishings on the market. 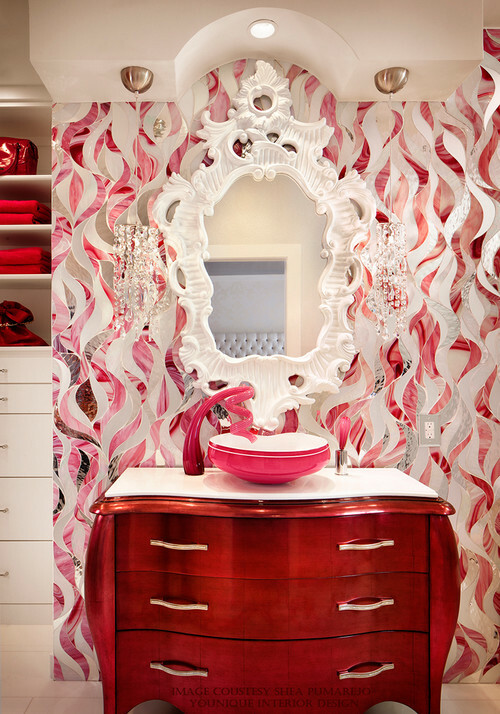 I always ask the designer what exactly would be their dream room and then I create around that. What’s coming up in 2016 for Allison Eden?